We all just received the joy of celebrating the greatest gift ever given – Jesus! How do you celebrate Jesus? Is he wrapped as a present still sitting under the tree, or is He displayed in your life for the world to see? 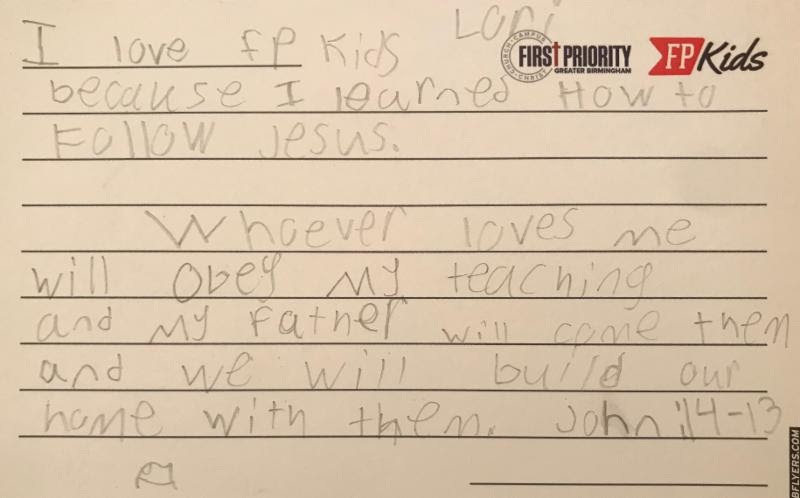 For many, Jesus is found at their First Priority or FPKids club, as you’ll read below on the card from an elementary school student involved in FPKids. Students all across this city are hearing about Jesus in First Priority and FPKids clubs at their school. Every day on over 100 public school campuses across the Greater-Birmingham Area, First Priority student leaders have the privilege to share the Hope of Christ with their peers. But they can’t do this alone. First Priority students desperately need your prayers, help and support to reach this generation with the life-changing Gospel of Christ. 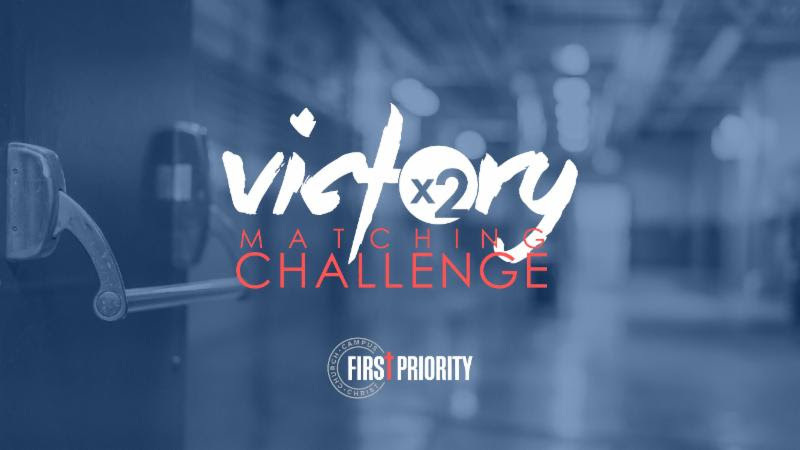 Right now, you can help during our Victory Matching Challenge campaign. As you read in my previous email, every gift we receive throughout the month of December will be instantly doubled. If you have already given, thank you for your generosity. If you haven’t sent a gift yet, there is still time for you personally to make a difference in the lives of teenagers all across the Birmingham area. Your donation will be DOUBLED and will help to bring Jesus to the schools in 2019! Please let me hear from you soon! May God bless you this holiday season and throughout the new year! Please prayerfully consider sending a generous gift by December 31! A gift in any amount will be instantly doubled for twice the joy, twice the hope and twice the love to a student who so desperately needs to hear the Good News of Jesus Christ!